200 sheets guaranteed. Larger rolls. 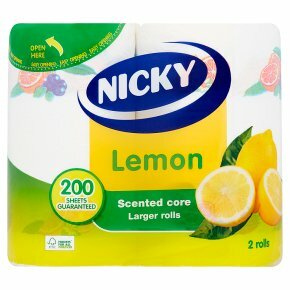 Nicky Lemon has a unique scented core adding a touch of freshness to your kitchen. It can be used for all tasks in and around your kitchen on a daily basis.